Kanyakumari district people do not have any night train facility to travel to North Kerala and Mangalore. Students, businessmen and tourists frequently travel between Kanyakumari district and Mangalore, North Kerala. Moreover, a number of fishermen are employed in North Kerala. The train service will also link tourist destination Kanyakumari with Mangalore, an important access point for kollur mookambika temple and kukke subramaniya temple. For the benefit of the above passengers, we have been demanding daily night train service between Kanyakumari district and Mangalore, since 2005. Our genuine request has not been heard till now. 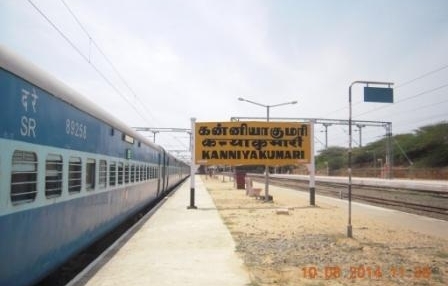 Therefore, it is kindly requested that necessary arrangements to be made to meet the huge public demand in order to operate direct overnight Train service between Kanyakumari and Mangalore at the earliest to facilitate the people of Kanyakumari district. Its our humble request that this plea be heard, and acted upon favourably.